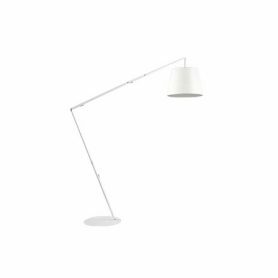 Twiggy is a simple, flexible and dynamic floor lamp designed by Marc Sadler for Foscarini. Perfect for giving light, character and elegance to your living room. 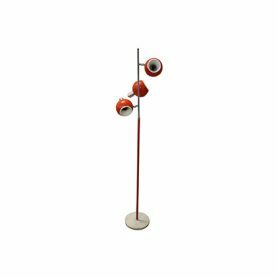 Foscarini is an Italian company that designs, manufactures and sells Made in Italy decorative lamps with a distinctive design all over the world. 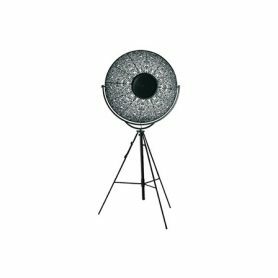 Solar Outdoor by Foscarini is a floor lamp designed by Jean Marie Massaud. Ideal for outdoor environments, it is not just a lamp, but a contemporary hearth around which to congregate and chat outdoors. 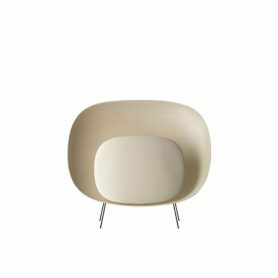 The hemispherical body in polyethylene, allowing to create multiple effects and atmospheres. Foscarini is a Made in Italy company producing distinctive design since 1983. 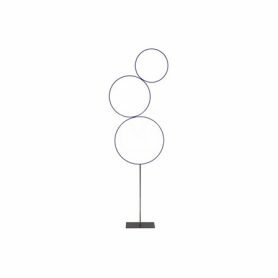 Galerie by FontanaArte is a design floor lamp designed by Federico Peri. 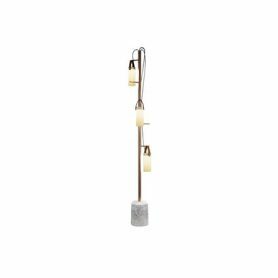 It has 3 diffusers inspired by ancient oil lamps that can be positioned at different points in the structure It creates a diffused lighting that is perfect for your living room or a reading room. FontanaArte is a Milanese company founded by Luigi Fontana and Giò Ponti, that produces glass furnishing item. 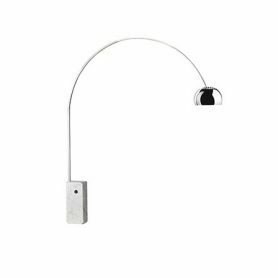 Floor lamp Clochard by Martinelli Luce designed by Orlandini Design. 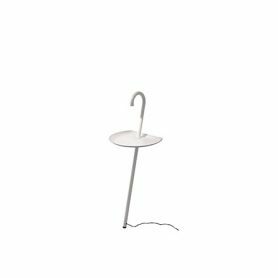 Standing lamp, but also little table and empty pockets. A nomad object, simply leaned to the wall. Martinelli Luce represents more than fifty years of history dedicated to the production of lamps and lighting systems. 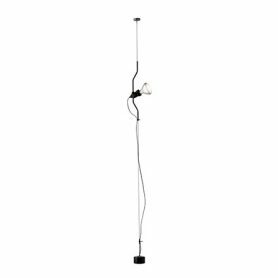 Floor lamp made in the 60s with three adjustable light sources. It is the perfect antique lighting item for any environment. Ideal for decorating your home or office in a vintage / retro style. 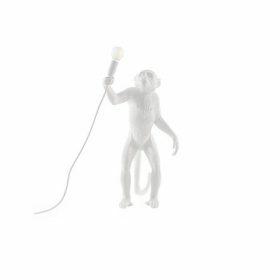 The Monkey Lamp by Seletti in the standing version is an extravagant and original floor lamp designed by Marcantonio Raimondi Malerba. The cute little monkey, reminiscent of nature, holds light as if it were a torch, ready to discover the wonders of the world. Since 1964 the Seletti brand stands out for its propensity to search for innovative and distinctive design solutions. 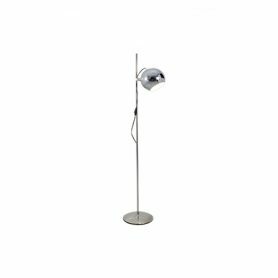 60s adjustable lamp is a table lamp that can be turned into a floor lamp and can be articulated in all directions. It is a precious lighting element ideal for furnishing the environment with an original retro and vintage style. 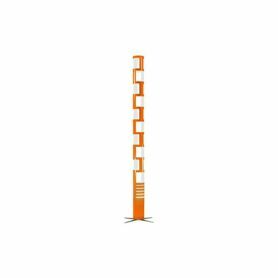 Sama by Kundalini is an orange and white floor lamp with an extremely original design. 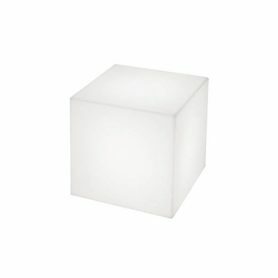 It creates an ideal lighting for the living room of your home but also for living areas of hotels. Kundalini is a company that designs and produces design lamps since 1996. 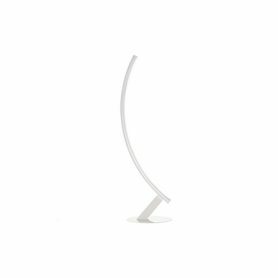 Kyudo by Kundalini is an elegant extendable arch lamp. This floor lamp creates an original lighting effect that is ideal for decorating the rooms of your home or hotel spaces with a minimal style. Kundalini is a company that designs and manufactures original lamps (suspension, table, floor, wall) since 1996. 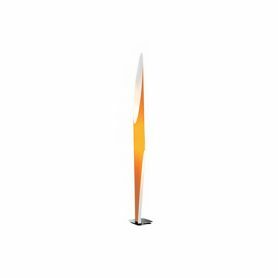 Shakti by Kundalini is a colorful floor lamp with an original shape. 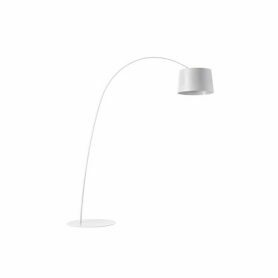 It emits a perfect light for reading environments or for living areas of hotels. 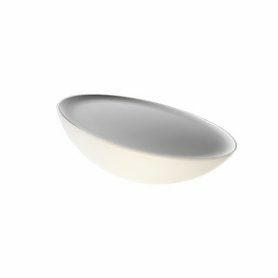 Kundalini is a company that designs and produces sophisticated and functional lighting since 1996. 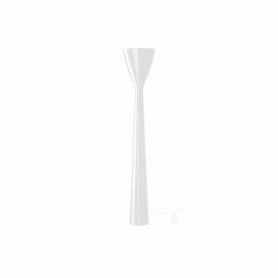 60s floor lamp is an elegant design lighting item in chromed metal. 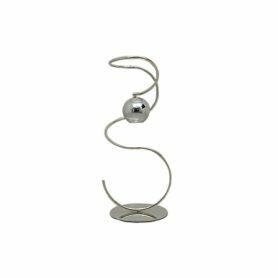 It has a simple but refined shape and is perfect for decorating your living room. 50s floor lamp is an exclusive design object in brass, ideal to furnish living rooms or offices in a vintage style. It is a lamp with a timeless beauty.